Limited Liability Partnership is a recommended business entity for small and medium sized business. It is an hybrid of both partnership and a Company extending limited liability to its partners. An LLP registration in India is comparatively more cost effective against other forms of incorporated entities. Limited Liability Partnership has the lowest Registration fee. An LLP is a hybrid of both partnership firm and a private limited company. It provides and aid to incorporate an LLP with a minimum of two partners without any maximum limit. There is no statutory limit of minimum capital contribution to incorporate an LLP in India. However, you can not initiate with any amount less than Re.1 per partner. An LLP enjoys various tax advantages over other entities, the tax liability is borne by the partners individually. 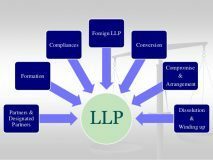 Can an LLP be converted into any other entity for expansion? An LLP cannot be converted into a Private Limited Company. According to the statue i.e. LLP Act,2008 and Companies Act,2013 there are no express provisions for such conversions. However, the partners can incorporate a new private limited company with the same name by attaching a NOC from the LLP. Moreover, conversion of a company into an LLP is possible by filing certain E-forms with the ROC. What is the procedure to convert an existing partnership into an LLP? 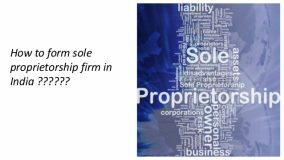 Conversion of an partnership firm into a Limited Liability Partnership is viable according to the provisions of Clause 58 and Schedule II of the LLP Act,2008. Does incorporating an LLP requires approvals from regulatory authorities?